Besides the disadvantages of coconut oil in general, virgin coconut oil has its own specific disadvantages. But most of these so-called downsides do not really apply to me or affect me at all. That's why I choose virgin coconut oil over other coconut oils for my daily health and skin care. I hope you're not affected too so that you can continue to reap benefits from virgin coconut oil since it bears the most healthful properties among the various coconut oil types. However, if some disadvantages of virgin coconut oil do affect you, not to worry. I have good tips up my sleeve and some great substitutes in store for you. You still will get to improve your health with coconut oil. Let's find out. When you take a whiff of virgin coconut oil, it smells like fresh coconut. When you pour it over your meal, your meal smells like fresh coconut too. The problem is, do you like all your meals to smell like fresh coconut? That really depends. At times, I prefer to keep the original flavor of my food. So, I don't add virgin coconut oil. I use RBD coconut oil instead. It's by far the best odorless substitute for virgin coconut oil. RBD coconut oil is designed as such to meet the demands of those who want the health benefits of virgin coconut oil but without its naturally-occurring scent. 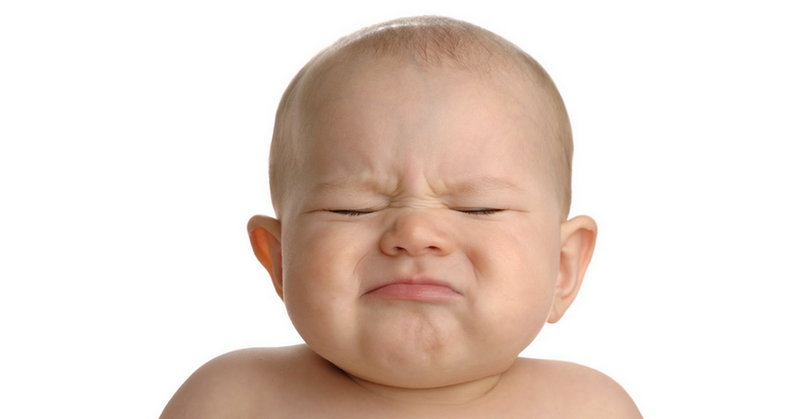 Of course, depending on the quality of virgin coconut oil you're buying, some brands do not bear a strong odor. In that case, it won't overpower the original flavor of your food by too much. And so you don't have to spend on the separate flavorless RBD coconut oil. The one I always buy emit strong coconut scent because I love that. It's soothing and relaxing. That's why I need the separate RBD coconut oil for retaining the flavor of food in case I want it. I need RBD coconut oil for other purposes as well, you'll find out soon. We all do have some degrees of body odor, especially after perspiring. Why does our sweat stink in the first place? It's caused by thioalcohols, which are substances produced by certain species of Staphylococcus after they feed on the sweat. As you know, virgin coconut oil is good at fighting bacteria, including Staphylococcus. So, naturally it should wipe out these staph bacteria that produce thioalcohols before we stink like rotten meat or the pungent sulfur. Well, it does the trick for me. I apply virgin coconut oil to my armpits and I don't smell as bad after sweating a lot in my daily routine workout. However, things become pretty off for some people. The soothing aroma of virgin coconut oil (to me) has turned into a big disadvantage for them. Take my wife for example. I introduced virgin coconut oil to her. She tried but she complained that the odor from virgin coconut oil seems to mingle with her sweat odor and make the combo smell even more unbearable. She finds using RBD coconut oil better. RBD coconut oil works for me too. So, if you're like my wife, switch to RBD coconut oil then. I'm good with smearing virgin coconut oil on my skin and have it smell like fresh coconut. It's aromatic to me as said just a while ago. But not all people are like me. If you simply cannot stand that fresh coconut smell, again, RBD coconut oil is there for you. It takes quite a while for our skin to absorb virgin coconut oil. A little disadvantage here, I'd say. This is because virgin coconut oil is heavier or thicker, as compared to other types of coconut oil. RBD coconut oil feels a little bit lighter due to the removal of the naturally-occurring odor. You can sense the difference when you rub them both on your skin. But if you want an even lighter coconut oil for your skin, then use fractionated coconut oil. Odorless light oil that spreads on your skin like butter without feeling oily. Great solvent for essential oils (such as eucalyptus oil and peppermint oil etc) too. Your skin will be able to absorb it super fast. It's often used as a carrier oil for many essential oils. And so, you can see how light it is. 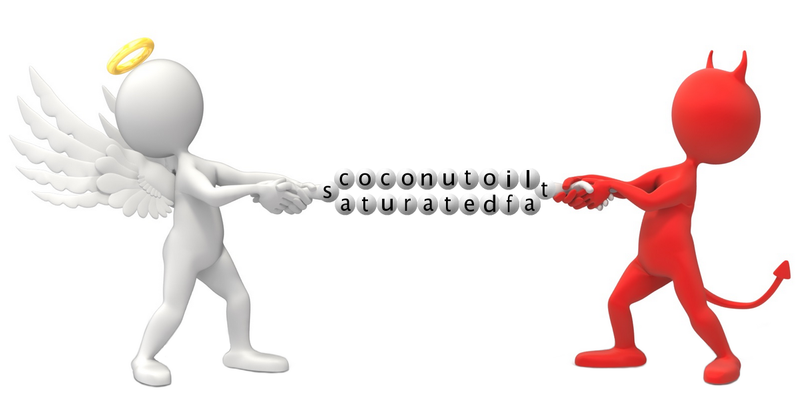 Fractionated coconut oil does not protect your skin as good as virgin coconut oil does. This is because fractionated coconut oil contains only caprylic acid and capric acid, which have limited fighting power against germs. A workaround to enhance protection and benefits of coconut oil for your skin is to mix fractionated coconut oil with some virgin coconut oil. This combination works pretty well for treating acne with coconut oil too. Virgin coconut oil starts to solidify below 76 °F (24 °C) due to its natural content of high saturated fats that have high melting point. If you live in a cold climate region where room temperatures normally stay well below 76 °F (24 °C), then you may find it troublesome when you need to use the oil. It can become as hard as rock as temperature gets lower. This makes it even more difficult for you to scoop it up for use. How to beat that disadvantage of virgin coconut oil? This virgin coconut oil disadvantage does not imply that having high saturated fats is bad. In fact, having high concentration of saturated fats in coconut oil is good, not bad. Simple. Just immerse the jar of virgin coconut oil in hot water. This helps to soften the oil so you can easily scoop it up. Another trick to overcome that "rock-solid" disadvantage is you can put your virgin coconut oil near the fireplace during winter so that the heat can help warm it enough to soften the hard chunk and make it easily scoopable. You can also pour the liquefied oil onto an ice cube tray and keep the tray in the fridge so that you can easily pop out the exact portions when you need to use it. Me? I live in Singapore, a tropical country that's near the equator. So, I don't have this problem since my virgin coconut oil will always remain in liquid form. The room temperatures here usually range in between 80 °F and 85 °F (between 26.7 °C and 29.4 °C). Comparing to its close relative – fractionated coconut oil that can last up to 5 years, shelf life of 2 years is considered short for virgin coconut oil. Time flies. I mean, if you're taking virgin coconut oil daily for health benefits or eating virgin coconut oil for weight loss 3 times a day, then 2-year will actually more than suffice since you'll probably finish up even a gallon in less than half a year, like my case. Best combo of saturated fats, MCTs and antimicrobials for tremendous health. No pesticides. No hexane. No plastic leaching. However, if you're using virgin coconut oil solely for skin care or you only start taking it when you're occasionally down with flu (virgin coconut oil fights flu effectively), then the shelf life might seem significant to you. You might not use up even a 23 fl. oz within 2 years. Why is the shelf life 2 years only? If virgin coconut oil carries 100% saturated fats like fractionated coconut oil, then it'll live longer like fractionated coconut oil does. But because it is naturally made, it still bears about 8% unsaturated fats in its content. These unsaturated fats may constitute only a minority. But they can cause the entire virgin coconut oil to lose its health-promoting properties due to oxidation over time. That's especially true if you constantly expose it to high heat source or you store it in a plastic jar during the torrid summer. So, how do you get around this "short-life" disadvantage of virgin coconut oil and "extend" its shelf life, if it so happens that you cannot finish it in 2 years. You sure can't pump hydrogen atoms into the oil and make it fully saturated, like the crafty oil-makers out there doing the sneaky stuff to make their cooking oils last longer. The best you can do is to store your virgin coconut oil properly in a cupboard that's far away from windows or direct heat. Don't belittle this cool dry place. Virgin coconut oil can last beyond 2 years if you keep it well. Another workaround is, get just the amount you need for that particular time frame. Don't purchase virgin coconut oil in gallons just because it's more cost effective, unless you can really consume it fast before it expires. No other disadvantages of virgin coconut oil can beat this – price. Needless to say, virgin coconut oil is the most expensive among the various types of coconut oil. But it's definitely worth the investment if you want powerful protection against super germs and killer diseases. In some cases, refined coconut oil like fractionated coconut oil may cost more than virgin coconut oil. If you're observant enough, you should've noticed that quite a few so-called virgin coconut oil disadvantages actually come from its naturally-occurring scent. Instead of going for the odorless RBD coconut oil, you can actually mix around these oils to get a less obtrusive odor to your liking. This way you don't completely shut out virgin coconut oil but yet still get to obtain its goodness. In other words, you're getting only the benefits without the disadvantages from virgin coconut oil. Killing two birds with one stone. Oh, before I wrap it up, the fact that virgin coconut oil may cause diarrhea, to me, isn't any sort of disadvantage. I consider it a detox reaction. That's because many "constipators" are starting to use virgin coconut oil to help relieve their constipation. It works for most of them. So, it seems more like a benefit though. These are my experiences. What about you? Drop your comment below if you do have some "bad" experiences or you think those are disadvantages in using virgin coconut oil. I would love to hear from you. And others can learn from you too. ← Is coconut oil saturated fat good or bad?